The call forwarding feature of a virtual phone keeps you close to your customers always. Your customers might like to inquire about your products or services from the comfort of their home. They can also place orders. If you wish to grow your business, you cannot afford to let your phone calls go unattended. Each call that you fail to answer is a missed business opportunity that can prove quite hefty for your business. So to grow your business and to keep your customers happy, you need to use the call forwarding feature of your virtual phone. With the call forwarding feature of a virtual phone system you can forward calls to more than one phone number of your choice. You can also customize the phone system in such a way that it forwards calls to each of the numbers on a per-determined day and time. So if you are not available on one number, the phone system will try forwarding the call to other phone numbers so that it does not go unanswered. This particular feature of a phone system is known as Follow-Me-Find-Me. It actually hunts you down to deliver your call. This is quite unlike a traditional phone system and is one of the most advanced features of a virtual phone system. You may be receiving hundreds of calls every day. Every call is not equally important for your business. In fact, there are quite a few calls that are time wasters and do not needs to be answered at all. A virtual phone allows you to screen a call before you answer it. You can screen the phone number and answer the call only if you feel the call is important, else you can forward the call to your voice mail. You can also let your customers hear a brief advertisement and then forward the call. 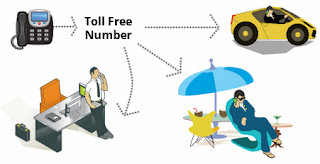 You can also use the call screening feature to better answer your customers. Call screen and announce also help you save time. Call screen and announce can be enabled on any phone extension using call forwarding. It allows your customers to announce their name. So now you speak only with people you think are important for your business and can divert others to your voice mail whom you think are not significant for your business. Call screen and announce perfectly works with the Follow-Me-Find-Me feature. I became very much attached to 0800 business lines because they have done some miracles for my problems! Thanks to them for making that possible! They are suggested to all.